The ad for Chicken Licken South Africa’s “Big John Burger” can still be seen online though. In the commercial film, 'Big John' - the inspiration for the chicken burger - silences his hunger for adventure in the seventeenth century with the colonization of Holland. 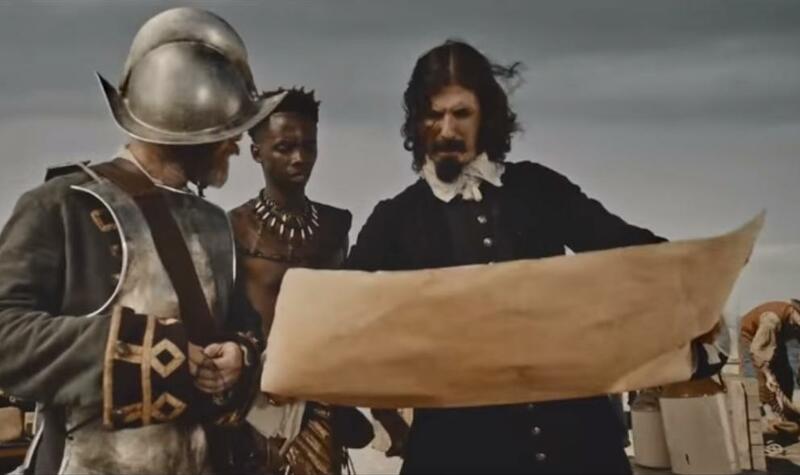 The TV commercial is obviously a nod to Dutch merchant Jan van Riebeeck, the Schiedam surgeon who founded the first European trading post in South Africa in 1652. In the satirical video of South African fast food chain Chicken Licken, 'Big John' colonizes 'Holland' a year earlier. The inhabitants look at the black, half-naked man with his beaded necklace and spear in amazement when he jumps off his sailing ship and sets foot on shore. “Hola MaNgamla (hello whites),” says the African man in his tribal language. Followed by: “I like it here. I think I call this place Europe,” as he puts his spear in the wooden scaffolding boards. Many South Africans were able to appreciate the humor of the ad but not (gospel) singer-songwriter Sandile Cele from Durban. He filed a complaint with the South African Advertising Code Commission. The latter ordered the fast food chain to withdraw the advertising film in its current form. According to South African media, Chicken Licken appealed to the Advertising Code Commission for its right to express ironic humor and believes that the TV commercial presents "a proud and patriotic attempt" to cheer up the South African spirit. Whites had jet airplanes and African Negros had not yet (or ever would have) invented THE WHEEL. the only thing blacks could colonize is a warthog burrow.